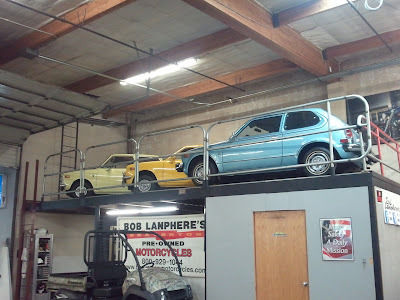 Before venturing to the sand dunes with my Suzuki Sidekick, I stopped at Bob Lamphere Honda Kawasaki Yamaha Suzuki in Beaverton, Oregon. Low and behold there was a trio of vintage Hondas in mint condition. Very cool. In fact Lamphere opened his Honda dealer in 1964.